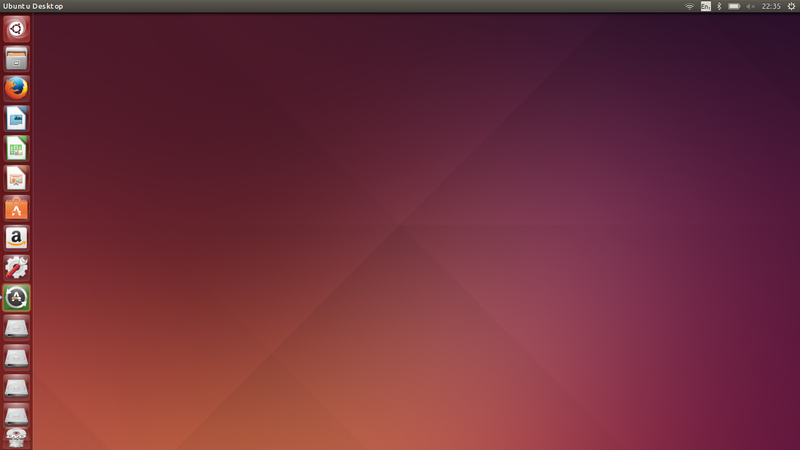 I have been using Ubuntu 14.10 since it was released on the 23rd October, 2014. During that time I have been trying to work out how to write this review because on the face of it, nothing much has changed. I was half tempted to just post a link to my review of Ubuntu 14.04 and say “Thankyou for reading”. Instead I think I have come up with enough material to form a review. For those of you who are currently using 14.04 I will highlight the main differences as listed in the release notes first and then you can decide whether to continue reading or not. For those of you new to Ubuntu, 14.10 is the latest release and will continue to be so until Ubuntu 15.04 is released in April 2015. Everyday Linux User focuses on desktop Linux and as such I am not too bothered about reviewing the cloud or server versions. 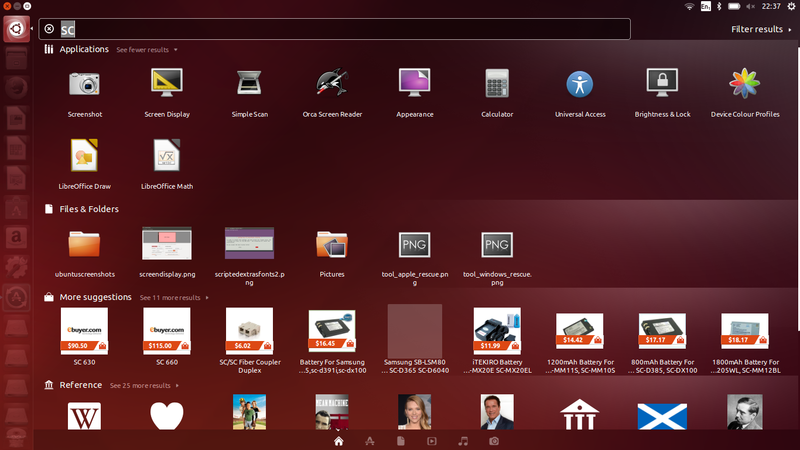 “Enjoy the simplicity of Ubuntu’s stylish, intuitive interface. Fast, secure and with thousands of apps to choose from, Ubuntu gives you a clean and streamlined experience that makes it easy to do whatever you want”. The Unity interface that comes as standard with Ubuntu does everything right that Windows 8 has managed to mess up so badly. Ubuntu is a GNU/Linux distribution which is both easy to use and modern. Ubuntu 14.04 is the long term support release. If you seek long term stability without the requirement to upgrade regularly then you should install Ubuntu 14.04. Ubuntu 14.10 will be supported for 9 months but having joined the interim release cycle you will more than likely continue to upgrade again in just 6 months when 15.04 is released and then again in 15.10. There are benefits to using the interim releases such as updated kernels and updated applications but there are likely to be downsides going forward especially when newer technologies such as MIR and SystemD become the defaults. Ubuntu 14.10 is a maintenance release with a number of upgraded applications and an upgraded kernel. 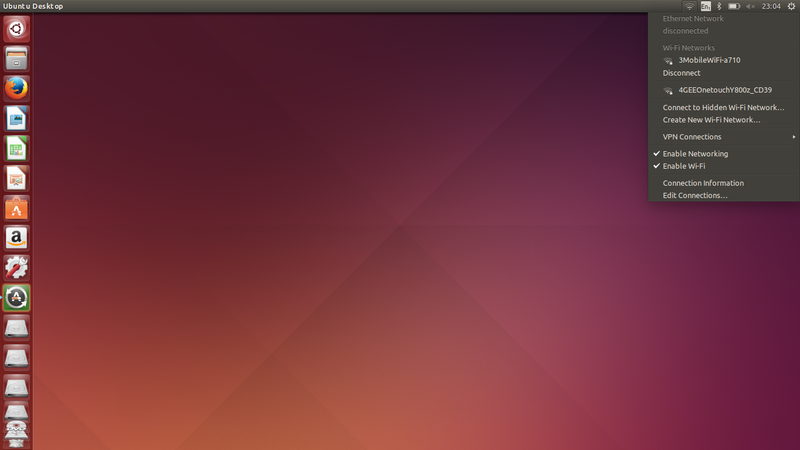 Ubuntu 14.04 was released with kernel 3.13 and for 14.10 this has gone up to 3.16. The benefits of the newer kernel include improved performance for NVidia, Intel and ATI devices. 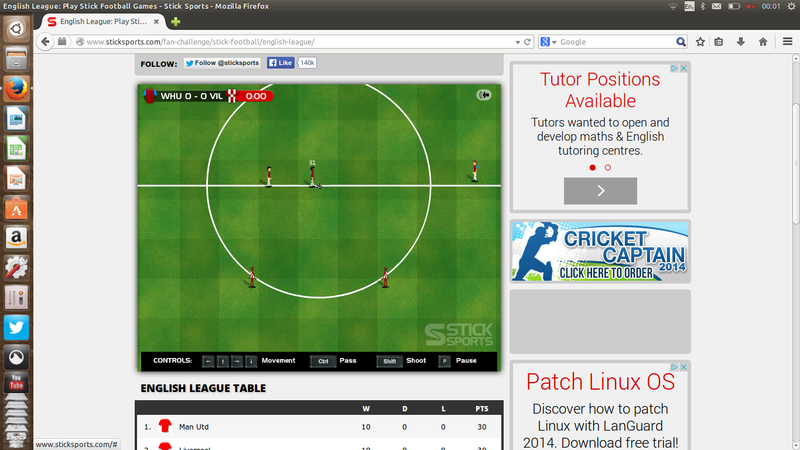 There is also improved performance with regards to suspend and resume times. For the desktop edition of Ubuntu there have been a number of bug fixes included for Unity and improvements have been made for High-DPI displays. Click here for the full release notes for Ubuntu 14.10. Click here to download Ubuntu 14.10. You will have to scroll down the page to find the Ubuntu 14.10 release as Ubuntu 14.04 still takes centre stage. The dual boot guide will probably work for most of you without having to follow all of the steps and the requirement for turning off secure boot isn’t absolutely necessary. I am working on an updated guide. If you are going to dual boot it is probably a good idea to backup Windows 8.1 first. You can also buy a Ubuntu USB drive or DVD drive. This is a great option for those people who have a poor internet connection and saves the short time and effort required to create one of your own. Ubuntu 14.10 isn’t going to provide current Ubuntu users with much of a surprise but for those of you who haven’t tried Ubuntu before the screen basically contains a desktop, quick launch bar and a panel at the top. 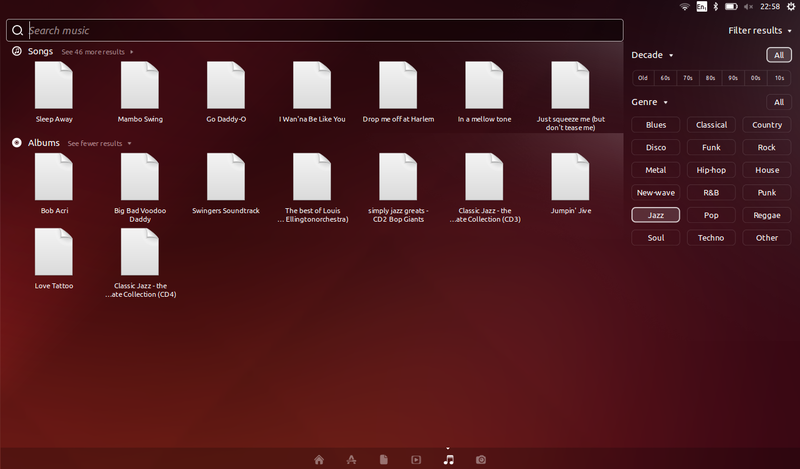 The Ubuntu launcher on the left shows icons for all the most commonly used applications such as a file manager, web browser, office suite, software manager and settings. You can rearrange these icons and replace them with icons for the applications you use the most. Click here for a full guide showing how to use the Unity Launcher. In the top right corner are some icons which are used for setting up the network, choosing your language, bluetooth settings, power settings, audio settings, the clock and general user settings. Pressing the super key (Windows key) on the keyboard or clicking the top icon on the launcher brings up the Unity Dash. Earlier on I stated that Ubuntu did everything right that Windows 8 got horribly wrong. The dash is a perfect example of this. In Ubuntu the launcher stays visible and is a quick and easy way to launch your favourite applications. The dash is used for everything else. Anybody who has used Windows 8 will note that you could be using the desktop and running a desktop application and then you decide to run another application. Pressing the Windows key takes you back to the tiled window. The mouse then has to go to the right side of the screen to bring up the search tool. You are then able to find the application and run it. This will make the application appear on the desktop again. The mouse is basically going all over the place and the user loses the view of the application they were initially running. With Ubuntu the launcher keeps track of everything that is running and the dash merely overlays the applications underneath. Mouse usage is kept to a minimum. The search tool within Ubuntu is incredibly good and most applications and files can be found within a couple of key strokes. The dash also includes a concept called scopes (or lenses). 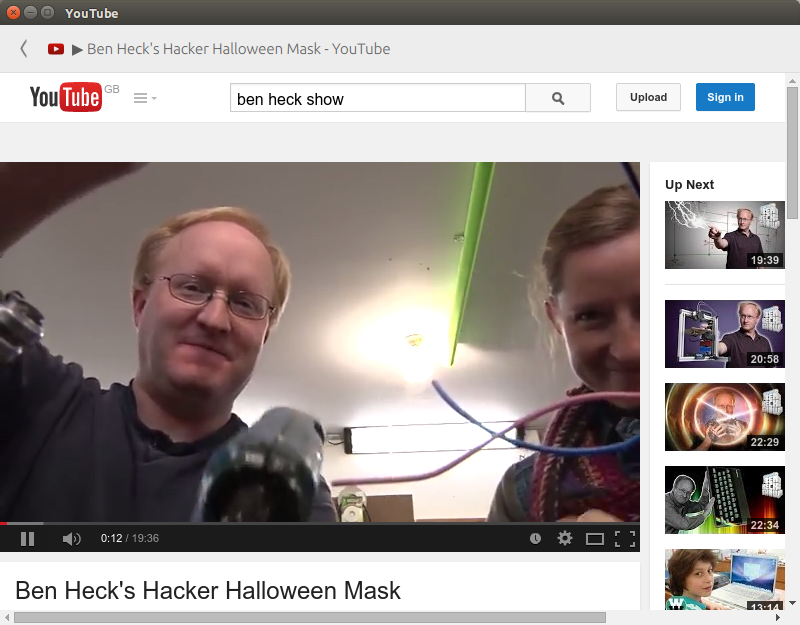 By default in Ubuntu 14.10 the scopes include applications, files, videos, audio and photos. For some reason the lens for social media has disappeared in Ubuntu 14.10 but I will come back to that later. Connecting to the internet is fairly straight forward. Click on the network setting icon in the top right corner and click on the desired network. If you are connecting to a wireless network you will be asked for the security key for that network. This will be remembered for subsequent connections. Click here for a full guide showing how to use the Unity Dash. During the installation of Ubuntu you are asked whether you want to install 3rd party tools and this includes the necessary codecs to run Flash videos and play Flash games. You can also install Flash via the repositories by either installing the Flash installer or by installing the Ubuntu Restricted Extras package. The restricted extras package includes fonts that are commonly found within Windows and the codecs required to play MP3 audio. 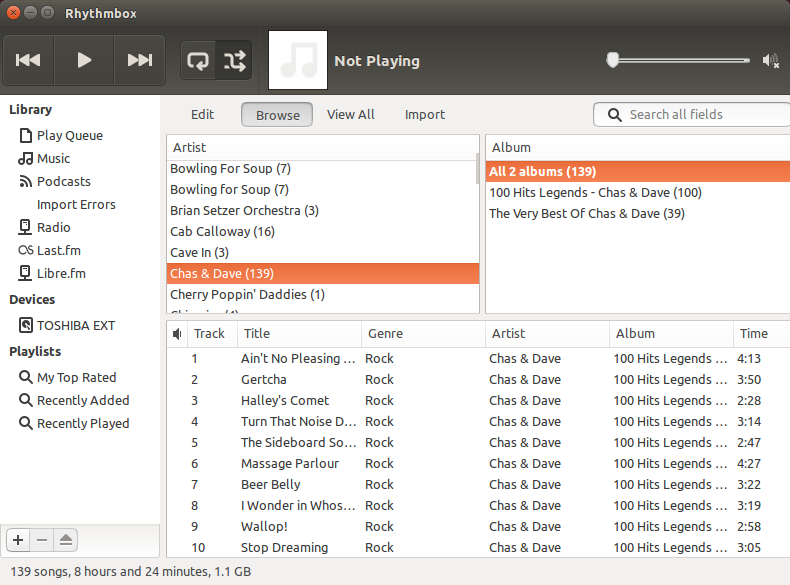 The default audio application within Ubuntu is Rhythmbox. You can import your current music collection, listen to podcasts and listen to online radio stations using Rhythmbox. Rhythmbox also integrates well with external audio devices. Until you have imported music into Rhythmbox, the music scope within the Unity dash will remain empty. The Unity Dash can be used to search for and filter audio by decade and genre. 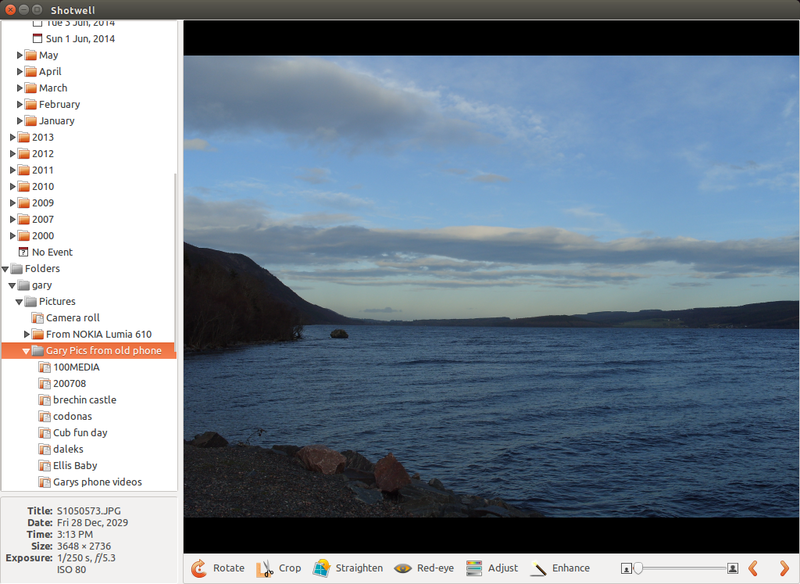 The default media player within Ubuntu is called Totem. The Unity Dash can also be used to view videos that are installed on your system. In addition to this the Dash will also show online videos. 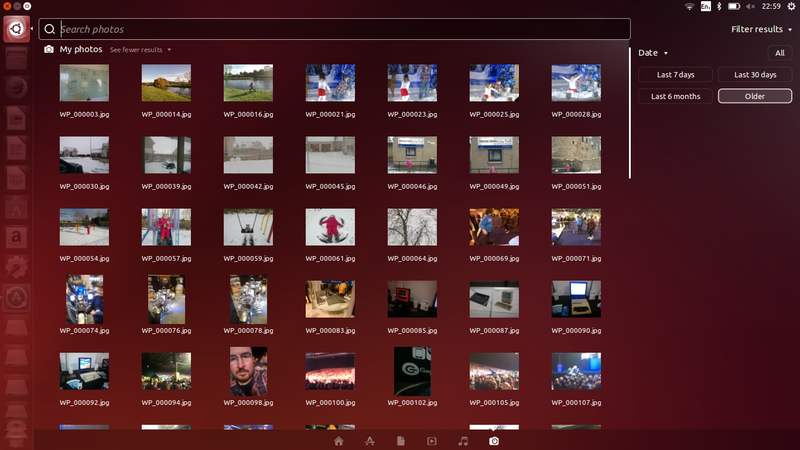 The default photo manager within Ubuntu is called Shotwell and this can be used to organise all of your photos and run slideshows. There is a lens within the Unity Dash which can be used to search for and view photos. Until the photos are imported into Shotwell nothing will be displayed within this scope. The Ubuntu Repositories have thousands of applications that can be installed. One way to access the repositories is to use the Ubuntu Software Centre. The Software Centre has a number of categories that can be browsed and a search tool to find an application by name or keyword. When you have found the application you wish to install you can click the “More Info” button to get further details or “install” to install the application. The first thing you will probably want to change is the desktop wallpaper. You can change the wallpaper by right clicking on the desktop and choosing “Change desktop background”. Ubuntu comes with a number of different wallpapers or you can add your own by clicking the plus (+) symbol and navigating to the image you wish to use. You can also change the size of the launcher icons. If you have poor eyesight you might choose to make them larger or if you are using a netbook you might choose to make them smaller. You might wish to hide the launcher completely when not in use and this can be achieved by choosing the appropriate option on the behaviour tab. There are other behavioural and appearance settings that can be amended within Unity and the easiest way to set them is to use the Unity Tweak Tool which can be found in the Software Centre. There are too many tweaks that can be applied to list them all here but for example you can hide the launcher, change the launcher icon colours, amend the way the search tool works, amend the panel settings, change keyboard shortcuts, change the window manager settings and change desktop settings. 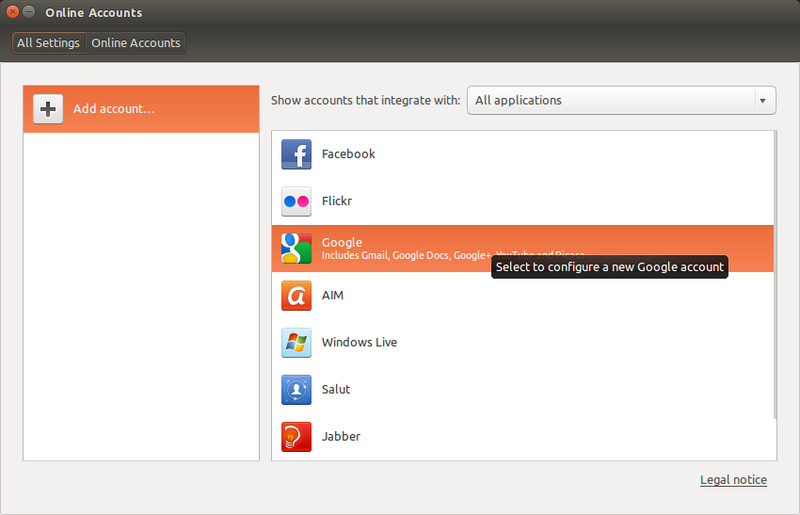 I mentioned earlier that the social media lens appeared to be missing in Ubuntu 14.10. It is also worth noting that Twitter was missing as an option within the Online Accounts feature. I installed the Friends scope from within the Software Centre and the Twitter option appeared within Online Accounts. Unfortunately despite setting up my Twitter account within Online Accounts no messages have come through yet on the Dash. 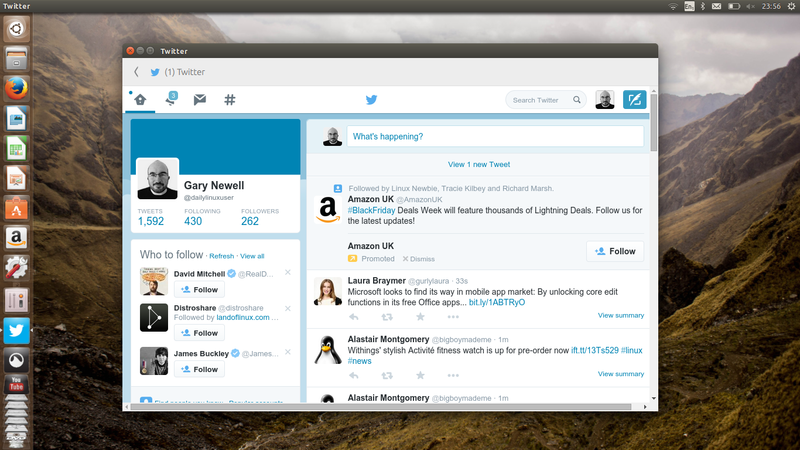 If you go to a popular web application, such as Twitter, you are asked if you wish to integrate it into Ubuntu. This has the effect of running the web application as if it is a standard desktop application. Anybody who has used Peppermint Linux will be used to this concept. There are dozens of web applications that this works for and most of them work successfully including Youtube. One that didn’t work so well was Grooveshark. The web application kept coming up with a Flash player error. There is an option to use the HTML 5 version but this basically just opens another browser window so you may as well have just loaded Firefox in the first place. Netflix is supposed to run natively within Ubuntu now without any spoofing, fairy dust or wizardry. To try it out I installed Chrome, by going to Google’s website and downloading the latest stable version. 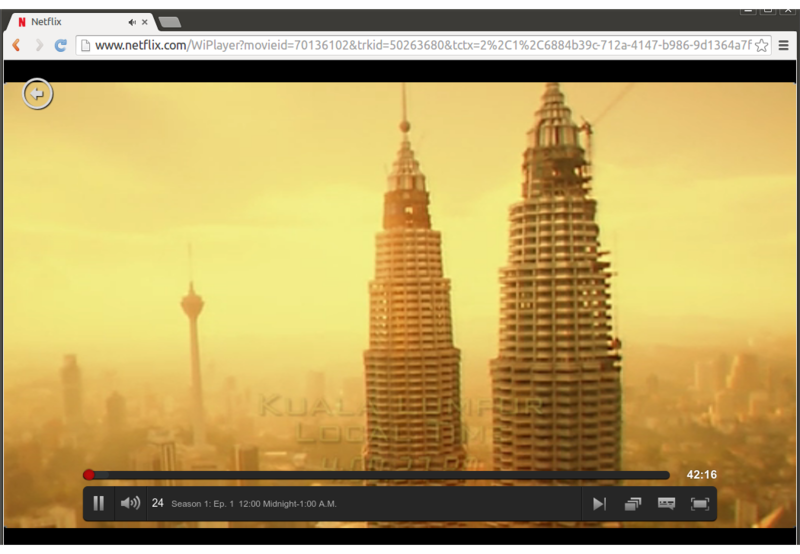 I then loaded Netflix into my browser and hey presto. I would be lying if I told you that I hadn’t run into the odd issue whilst running Ubuntu 14.10. For example, Unity spurted out an error whilst loading the music lens for the first time after importing music into Rhythmbox. I have had other similar crashes with lenses, especially whilst trying to get the friends scope to work. 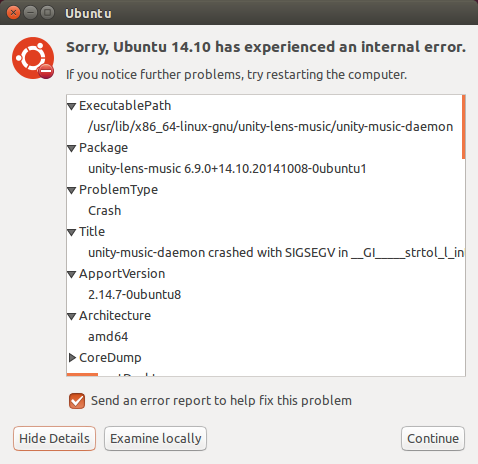 99.99% of the time Ubuntu 14.10 works without error but just occasionally the do you want to report this error dialogue appears and most of the time when it occurs I was blissfully unaware that there was an error because nothing bad appeared to be happening. 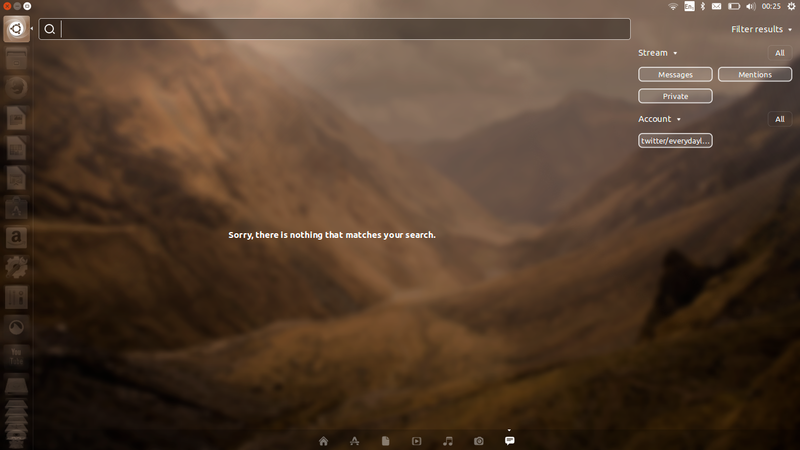 Ubuntu 14.10 is another nice little step forward for Ubuntu without being spectacular. Linux has faced many hurdles over the years such as lack of MP3 support, Flash support, hardware support, gaming, decent software, running Windows applications and recently Netflix. All of these issues can now be filed away as “used to be an issue”. Ubuntu is one of the more popular distributions for a reason. As Windows users love to say “It just works” and for it just does. Nice article, I always enjoy reading your reviews! A good, straight forward, no nonsense, well presented review. Ubuntu is as Gary implies, a simple to use operating system. Yes it is different to Windows and Apple, but that's the whole point and the up to date Operating System versions are completely financially Free! As are office systems such as LibreOffice! Ubuntu does virtually everything that Windows and Apple does and more!